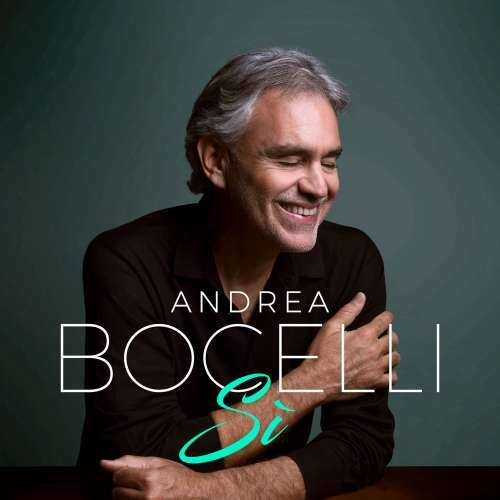 15 June 2018 (Toronto, ON) - Fresh from winning his Classic BRIT Icon Award, global superstar tenor Andrea Bocelli announces his brand-new album Sì – his first recording of all-new material in 14 years - to be released on Decca/Sugar/Universal Music Canada, the country’s leading music company, on October 26. The first single, “If Only” has been unveiled today – listen to the song HERE. Bocelli’s humble manner belies his international status as one of the world’s biggest classical stars. He’s sung for Popes, Presidents and Royalty, performed in many of the greatest concert halls and opera houses, and has sold 80 million records. Yet his new album sees him return to his roots with an intimate collection of songs that celebrate love, faith and family. It was recorded at his home in Italy and was produced by the legendary Bob Ezrin (Pink Floyd, Lou Reed). A true international artist, Bocelli recorded his first track from the album in three languages. “If Only” was co-written by Francesco Sartori and the late Lucio Quarantotto – who helped pen one of Bocelli’s biggest hits, “Con Te Partirò” (Time To Say Goodbye), which was released over 20 years ago and has become one of the best-selling singles of all time. The album also includes personal tributes to his family and reflects his spirituality. Among the highlights is “Vivo”, an emotional homage to his wife, Veronica, and “Fall On Me” a spine-tingling duet with his 20-year-old son Matteo – the first time they have ever recorded together. Andrea Bocelli was born with a gift for music and has gone on to become one of the most renowned singers – performing at major international events including the Olympic Games and the World Cup, as well as his own sold-out arena shows. He has a Golden Globe, 7 Classical BRITs and 7 World Music Awards under his belt, plus a star on the Hollywood Walk of Fame. Drawing millions in with his popular crossover appeal, Bocelli has collaborated with a host of A-list pop stars including Ed Sheeran, Ariana Grande, Nicole Scherzinger, Jennifer Lopez, LeAnn Rimes, Céline Dion, Tony Bennett, and many more. He also wowed UK football fans with a performance for Claudio Ranieri’s Premier League-winning Leicester City at the King Power Stadium in 2016. Bocelli will be back on the road later this year touring worldwide with major US shows including New York, Las Vegas and LA’s Hollywood Bowl. There will also be concerts in Germany, Italy, Spain, Brazil, Ireland, the UK, and Canada where fans will have the opportunity to hear Bocelli’s new music. And so, in his 60th birthday year, Andrea Bocelli is proud to return to where it all began. His uplifting new album, Sì, gives us a window into the world of this extraordinary singer and global icon.